Sandra & Alan Chalmers have been taking care of visitors to their lovely home since 2005. Standing Gables B&B has a variety of rooms offering a range of facilities to suit all needs, rooms are regularly updated and the house has been extended over the years to accommodate all our guests. Our aim is to make your stay as enjoyable as possible, whether you are in the area on business or on holiday. Our rooms are clean and comfortable and of course you will have a hearty breakfast to set you up for the day. We have a lounge for guests to relax in pleasant surroundings with a real coal fire and a stunning view of Bennachie. We are proud to say that many of our visitors arrive as guests but leave as friends, who return year after year, why not check out our reviews on Trip Advisor. 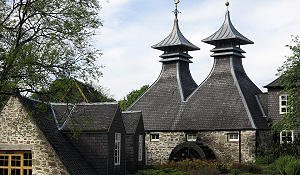 Aberdeenshire has a wealth of leisure options and activities to suit all ages. We have selected a few visitor attractions that we hope you may find of interest during your time with us. 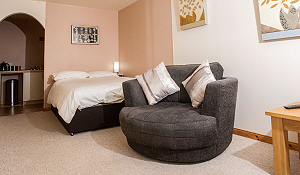 Here at Standing Gables we have six well appointed rooms all furnished to a very high standard, perfect for the business or leisure traveller. They say that breakfast is the best meal of the day and here at Standing Gables it sure is!. 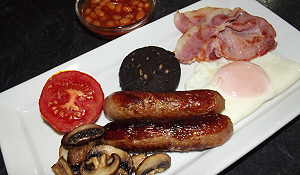 We offer a choice of a full cooked Scottish breakfast in addition to lighter options.